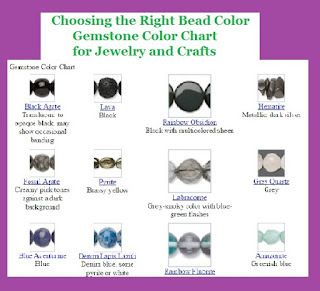 A helpful tool for any beader or jewelry creator is a gemstone color chart. The chart helps you when it comes to mixing and matching the right colors for your project. The Gemstone Color Chart if you click on one of the beads links below it will take you to a landing page that features a variety of beads crafted out of the chosen gemstone. You can also view the entire Gemstone Color Chart here.